These athletes are competing to win prize money, test themselves against the best of the best, attract potential sponsors, and rise to the top of the Spartan Race Point Series. 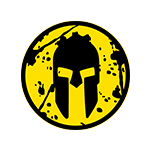 Elite Racers, like all Spartan athletes, commit to flawless sportsmanship and adhere strictly to the race rules and guidelines. Racers who fail to follow these guidelines risk disqualification. The Age Group Category, formerly known as “Competitive” is a series of heats placed immediately after the Elite category. Age Group racers will follow the same rules and standards as the Elite racers. Age Group heats will be officiated by on-course referees, video review, and feature an Age Group points series with exciting prizes, podium awards, and athlete rankings. The Open Heat is for everyone, period. Weekend warriors, novice athletes, first-time racers, and teams are all welcome here. The Open Heat offers the same opportunity as the Competitive and Elite categories to get far outside your comfort zone, test your body’s limits, and experience the awesome rush of the finish line. However, there’s no pressure to push your pace. 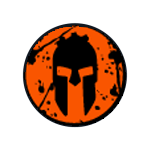 Regardless of which category you race in, all finishes will count toward the completion of a TRIFECTA or Spartan DELTA. Click here to find your next race.